Here are some staggering facts. The United States Environmental Protection Agency (EPA) believes more than 2.3 million tons of electronics were tossed in 2009. Only a quarter of that 2.3 tons was actually recycled. Most ended up in trash bags where it was hauled to landfills. According to the Global E-waste Monitor, about 44.7 million metric tons of electronic waste was produced worldwide in 2016. That same year, another 60 million metric tons of electronic and electrical equipment reached consumers. As those products become obsolete, they become e-waste. Now, look at what the EPA estimates goes into the construction of just one computer. It’s estimated that 1.5 tons of water, 530 pounds of fossil fuels, and 48 pounds of chemicals are used to make one desktop. How many computers are in your home? Most homes have at least one, but many have one laptop per person. In a four-person household where there is one computer per person, you’re looking at 6 tons of water, 2,120 pounds of fossil fuels, and 192 pounds of chemicals. In a traditional linear economy model, most people trash the obsolete and buy new. If this were to continue without a new plan, landfills would be overrunning with metals, plastics, and batteries that damage the environment. Instead, a circular economy model focuses on repairing/refurbishing and recycling. This is the only way the world will keep e-waste to a minimum and keep some heavy metals and pollutants out of the water, air, and soil. 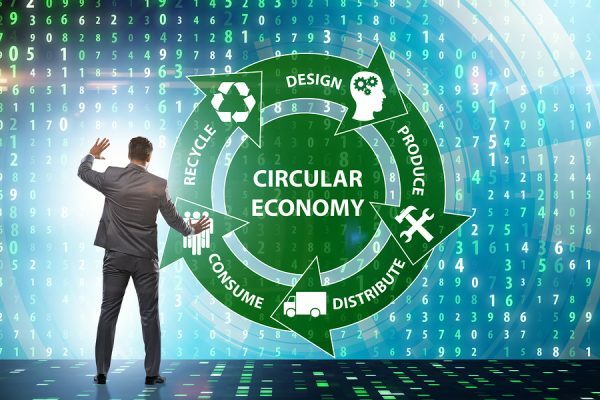 How Does a Circular Economy Model Work? With a circular economy, items that are outdated are collected by e-waste recycling companies, refurbished or repaired, and returned to consumers. While your laptop may not be powerful enough for your needs, there could be a classroom out there in need of a computer. If items cannot be remarketed, they’re recycled to collect and re-use the metals, glass, and plastics that make them. To keep e-waste down, consumers drop off their electronics or electrical devices at a recycling center. You can find the nearest center by contacting your state or using ERI Direct’s map of state e-waste regulations. In many states, agreements with manufacturers ensure that consumers do not pay for electronics recycling. It’s unlikely that you’ll have to pay any fees when dropping off your computers, printers, cellphones, tablets, televisions, or other electrical devices. Ask if data destruction is part of the e-waste recycling process. In some towns and cities, the recycled devices sit in bins or on trucks until it reaches a collector. There is the risk of theft of important files and personal information before it reaches a center where data destruction takes place. When you’re buying your next electronic device, searching to see if the items are made using post-consumer recycled materials completes the circular economy model. When you purchase items made with recycled metals and plastics, you’re helping keep e-waste out of landfills. What Exactly Happens When Items Are Recycled? Depending on your region, you may have a truck that collects electronics at your curb. Most areas require you to go to a drop-off center to recycle your e-waste. From there, the items gather until they’re collected for processing. At a processing plant, different steps take place. Data destruction may be implemented to remove personal information from POS terminals, computers, printers, photocopiers, and other electronic devices. After that step is complete, items that cannot be remarketed go into shredders and are separated based on the material. Remarketing is important. By fixing or refurbishing older electronics, people that otherwise might be going without have a chance to own a device. You might see these items for sale as refurbished items, and others get donated to charitable organizations who work with people in need. ERI Direct is the nation’s largest electronics recycling firm. With eight locations around the U.S., it’s likely that your electronic items eventually end up here. The company remarkets devices that still have value. The rest go through processes like data destruction and electronics recycling. E-waste is shredded where it gets separated into glass, metal, and plastic that can be reused to make new devices. 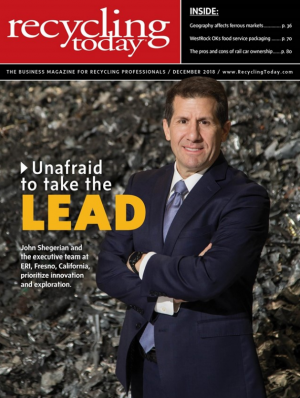 Everything ERI recycles is processed right in the U.S. Nothing is sent out of the country and no electronic component ends up in a landfill. That’s more than 250 million pounds of e-waste that’s processed using the circular economy method each year. Learn more about our services by calling 1-800-ERI-DIRECT.